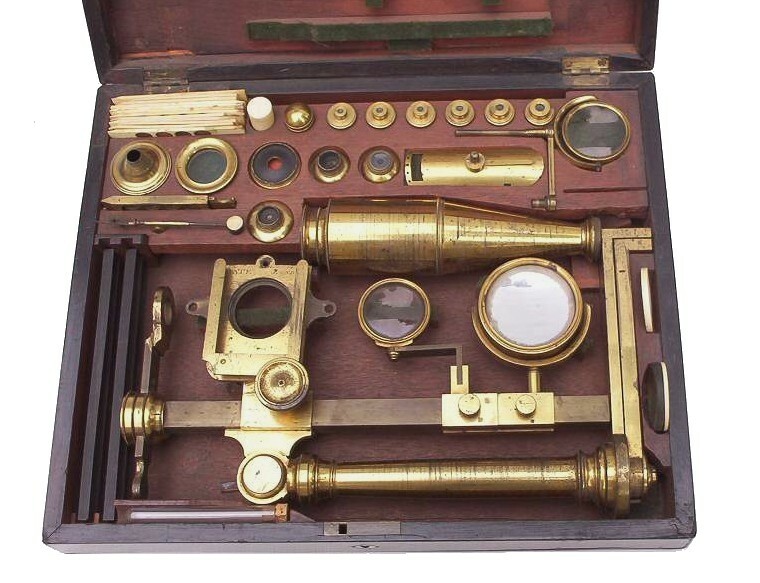 using either of the three Lieberkuhn objectives and the stage forceps. 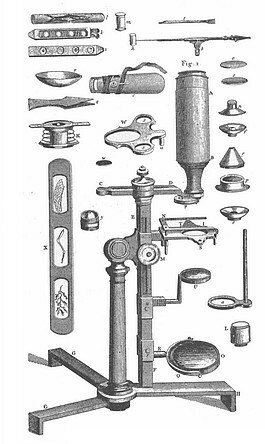 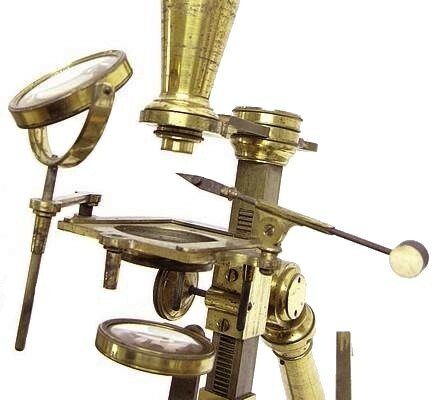 The accessories supplied with this microscope include six numbered objectives, a higher power objective, three objectives with a Lieberkuhn, a sub-stage light cone, a live-box, a brass wet slide, a stage mounting condenser, a fish-plate, a stage forceps, a glass tube for live objects, a selection of ivory slides with each having multiple specimens, a group of four large wood slides with opaque objects, a ivory talc box, and some ivory and glass stage inserts. 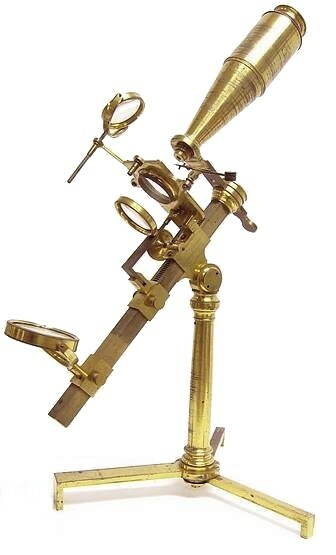 The microscope has a sub-stage condenser on a sliding arm. 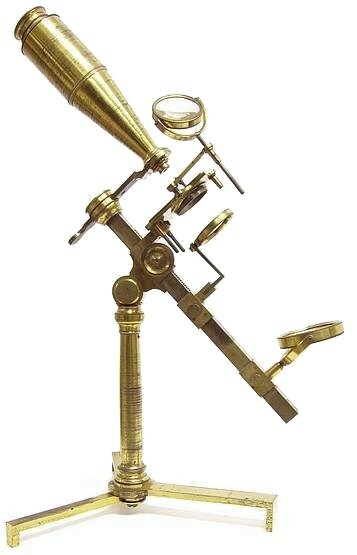 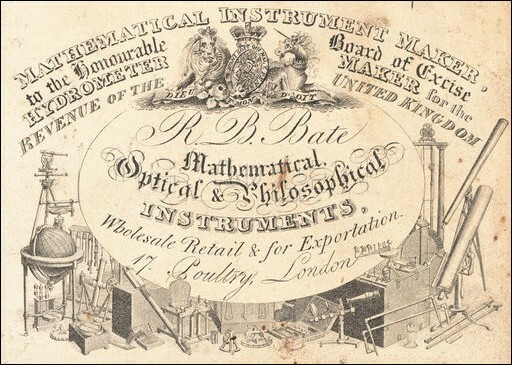 Elsewhere on this website are examples of a small Jones Most Improved and a Jones Improved microscope by Bate.